The photo shows the double chaconia. This is a mutation of the single chaconia. 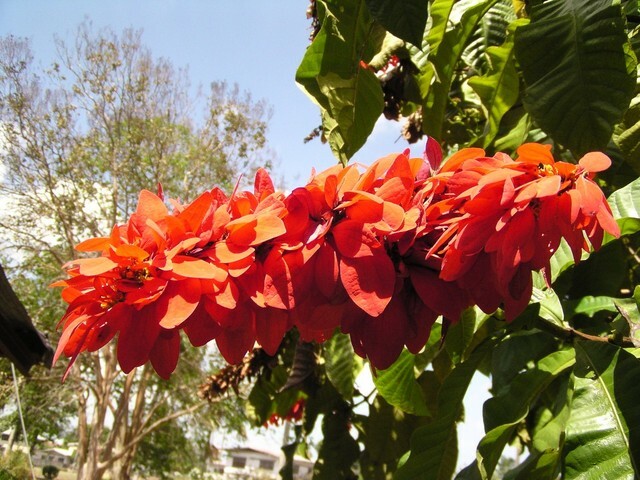 The latter is the national flower, which is strange since the single one is found all over the Caribbean and South America, but the double is only found in Trinidad.